An employee at a waste disposal company was killed in what appears to be an industrial accident in Peabody, Massachusetts, according to a recent news article from the Eagle Tribune. Authorities say victim was working a Friday morning shift when he was run over by a front-loader. The accident occurred at the waste management facility just north of Route 1. After being struck, victim was not breathing and had no pulse. He died only minutes after being struck. Police declined to give more specifics about the injuries, only saying they were very serious and resulted in employee’s work-related death. 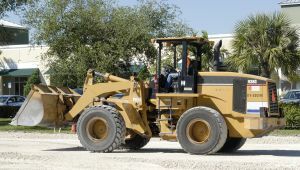 While Massachusetts police and the United States Occupational Safety and Health Administration (OSHA) continue to investigate this fatal industrial accident, the district attorney has stated that it appears to be purely an accident and does not plan to file any criminal charges against the employer or driver of the front-loader. It was also noted the same employer had emergency services called to the job site on previous occasions for other incidents, including two fires. As our Boston on-the-job injury attorneys can explain, many people think of workers’ compensation as being appropriate for accidents that result in serious personal injury but not death. Actually, in the case of fatal workplace accidents, death benefits awards can be paid to the surviving spouse and dependent children to cover the cost of medical bills associated with the fatal injury, funeral bills, and lost wages. A workers’ compensation death benefits award can either be paid in monthly payments similar to a paycheck or as a lump sum settlement, or a combination of both in certain situations. One of the more complicated parts of a case involving death benefits, and one of the reasons claimants should consult an experienced workers’ compensation attorney, deals with the assigned value for a lost wages claim. In the case of a fatal on-the-job accident, lost wages involves payment for the wages employee would have earned and provided for his or her family for the rest of his or her life had it not been for an untimely death in a industrial accident. In these cases, an employer’s workers’ compensation insurance carrier will typically undervalue the employee’s potential for future earnings. Even if the employer is fully on board with providing decedent’s family with a full and appropriate workers’ compensation death benefits award, insurance companies are often far more concerned with making money than with the needs of a family that is rightfully entitled to a benefits award. One of the best things a claimant can do is to contact an attorney as early in the process as possible. The Massachusetts Executive Office of Labor and Workforce Development (EOLWD) strongly recommends claimants seek representation to assist them with this complicated process. This recommendation is made clear in their literature intended for claimants and their families. It is also important to note that, even when an accident is deemed to be nobody’s fault by police or OSHA, this does not preclude a workers’ compensation settlement, because, unlike a civil negligence lawsuit, fault on behalf of employer is not required.